Even when it is cold out, you can still enjoy the relaxing effects of a fountain. Indoor fountains bring the tranquil sound of flowing water indoors. 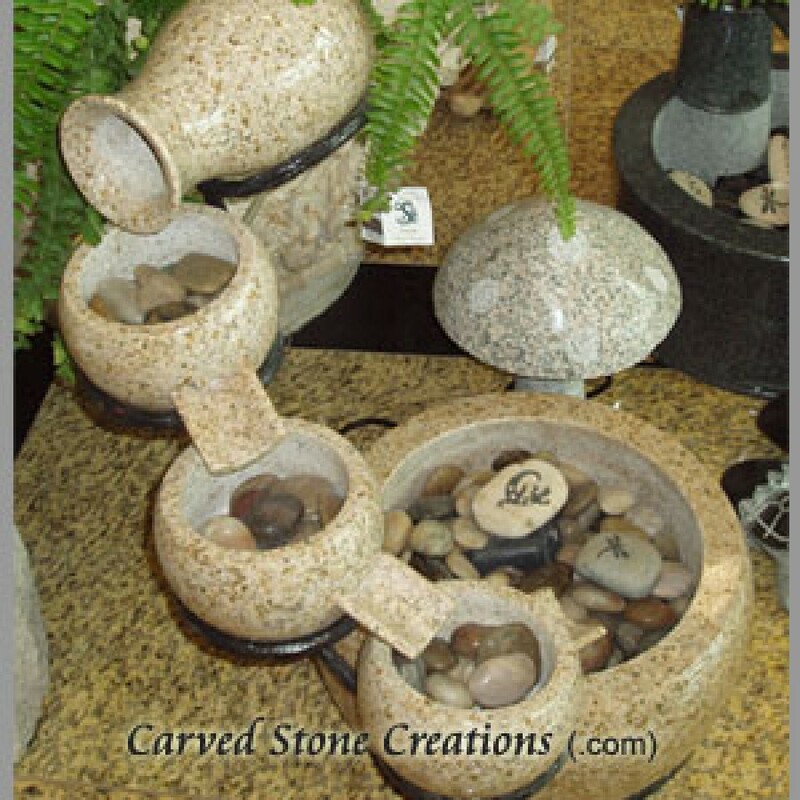 Just like our outdoor stone fountains, indoor fountains are available in a variety of styles, colors and sizes. This six-foot-tall wall fountain will make a stunning impact no matter where it is placed in your home. This free-standing design is handcarved from Cumulus White marble for a clean look. The water flows from the lions mouth into the basin. 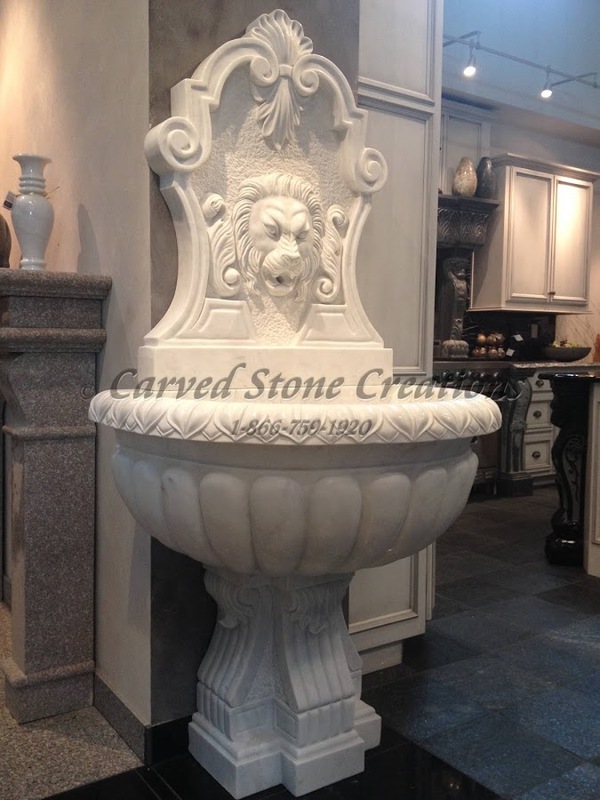 A decorative pedestal with scrolled carving details supports the basin. This classic pedestal fountain is handcarved from Giallo Fantasia granite and has a floating Absolute Black granite sphere. The sphere has carved details to resemble a globe. When this fountain is on, the sphere will float and spin on top of the pedestal. The sight is truly mesmerizing! The charming old-world characteristics of this five-vessel fountain will catch anyones eye. The water flows from the top, down three smaller basins and into the large basin at the bottom. Place this fountain in your home to enjoy the relaxing sounds of trickling water. This unique two-tier pedestal fountain features a floating sphere. The fountain is handcarved from a warm Butterscotch Onyx stone. The whole design is polished to a high shine, showing off the details. Water cascades down the finial and into the two basins below before recirculating. Are you inspired to add a fountain in your home? Take a look at our ready-made fountain designs or contact us to start a custom, indoor fountain design.